I’m terribly bad at following through with my promises on here, aren’t I? I believe that I said I would talk about how programs and teen advisory groups build community. When I mentioned that, I was planning a short post because I was hoping to give a presentation on it at WLA this April. Instead I will be helping facilitate a round table discussion. No more qualms about talking too much. I absolutely love having a teen advisory group. As I said before, I looked at a lot of programming ideas before I settled on on TAG (I’m a dork, I like to say “TAG, you’re it!” on publicity. The teens forgive me.) but after talking to Jackie I just felt like this was the right fit. Our branch has a lot of teens and younger kids, a lot of families. We lose the teens for a while in high school because they just have so much gosh darn work to do–I don’t think I would have gotten this group if they hadn’t started out in middle school last year. Now they are in high school and they bring in their friends. That means more teens using the teen area and the homework table. More teens being a positive presence in the library. When we have programs, our meeting room is right in the front of the library and everyone looks in to see why we are having so much fun. If it’s a TAG meeting, we get curious gazes. When we have a program, I make sure to put a sign in the window so that everyone knows what’s going on. We celebrated National Gaming Day on Saturday and we got about 15 teens right at the start. Later, families started to show interest and as the teens were game, we invited them in to play with us. Moms, Dads and kids all came in and played Apples to Apples and Mario Kart. I got to tell them why gaming in the library is so cool and they told me how wonderful it was to do something on that rainy day outside their house. I invited everyone back to our inter-generational game and craft day in late December. Building these bridges with teens, kids and parents is invaluable at the library. Giving teens a library connection to hold onto when they get into high school is key to getting them to return as library users when they become adults. Having friends that advocate and sell library with the air they breathe helps that happen, as does seeing that friendly librarian face as they’re racing towards the lunch room at school. I table a couple of times a year and offer candy for library cards. I revel in the teens that can recite their library barcode numbers to me. The ones that don’t have them want to know what all the fuss is about so I end up giving out applications with a “you’re going to need this for school” talk. Teen advisory group members stopping by to say hi helps pave the way. I also try to draw the community into programs. When we had the neighborhood scavenger hunt last session, some of the locations were local businesses. I took the opportunity to talk with the employees and managers of the businesses to let them know that they would have visitors and that there is a library, right down the street. I’ve made acquaintances with some of them–we nod and smile now on the street–and one place has become very connected. The employees use the library and the manager has offered to help with some prizes in another program down the line. Full disclosure; I’ve been buying coffee and doughnuts there for a couple of years now. I don’t frequent the other businesses as much and my coworkers don’t talk about the library as much as I do (they probably think I’m crazy ;) I wear my badge proudly and talk about books and services when I’m out and about. Stalkers be damned. But my point is that if I spread my spending money out a bit, I would probably have a wider impact. I don’t have to tell you that community is the lifeblood of public libraries. Some libraries get sleepy, though. They forget. They serve the people who come in their doors with excellence, but don’t take the extra steps to bring in more (and yes, even when we have more patrons than we know what to do with, we need more advocates, more users). What do you do to entice people through your doors? I started my Teen Advisory Group last year after looking at several options and talking to a friend about her group. My branch had a lot of requests for teen volunteer positions and no history of regular teen programs. When I came to work there, it was during a rather unsettling reorganization. None of us was doing much, and I got a few extra responsibilities that put a serious cramp in my ability to plan anything for teens. By the time I was able to train someone to take most of those responsibility off my hands, it was summer. The time was perfect to plan… something. I considered a couple of different things. Weekly programming seemed like an option, but keeping things fresh could be a problem and we don’t house our region’s gaming equipment, so getting it regularly would require more driving than I wanted. Then I talked to my friend in another system about her teen advisory board and it sounded like the right fit. I didn’t have any funding yet, so I thought I would start with a once a month meeting. Now that timing seems right. We have supplemental meetings when we need to. And now we have funding, at least for this year, so they get to have pizza. For the planning, I asked the librarians at the Teen Center for the forms they use for their Teen Center Advisors; an information sheet and a contract with a place for students and parents to commit to the time responsibility. I edited these forms and sent them to the local high schools and put them out in the teen area. I offer service learning credit for participating. Despite the fact that all the forms disappeared, I still had that moment where I didn’t think anyone would show up. Instead I had 12 teens at the first meeting, and all of them stuck with me through the first year (two sessions, Sept-Dec and Feb-May). We planned an author visit, celebrated National Gaming Day and helped with an all ages winter family day. In our second session we made two videos, one for the ALA Why I Need My Library contest, the other to support our Steampunk Summer theme, and planned a community scavenger hunt. I realized very early that I had to have an agenda and that it helps to write it up on the white board where everyone can see it. I have a couple of strong personalities in my group and I’m still learning the best way to channel their enthusiasm. But having a clear agenda with a few ideas for projects helps a lot. I try to make sure the ideas are the teens, but within the limits of what I can do at the library and as relevant to library ideals as possible. I was amazed by how many of those ideals the kids got when they made the Why I Need My Library video. When we planned the scavenger hunt, it came about because of a box of prizes that I had that should be used. I asked them how I should give them away, we brainstormed and the scavenger hunt idea was born. They created the posters, helped me with the clues and the structure and helped with the program itself. I require them to communicate with me by email. Otherwise I would have to make 12 phone calls every time I wanted to talk to them. They have to write a blog post every month. I’d say that is the biggest challenge we have is getting those in from a couple of people. In the new session that just started, I introduced a log sheet for each participant to keep track of their hours and blog posts. That way they can all see what’s expected and how they’re doing. In my next post, I’ll talk a little bit about TAG’s, programming and community and how the library can build stronger ties to it’s neighborhood through TAG activities. 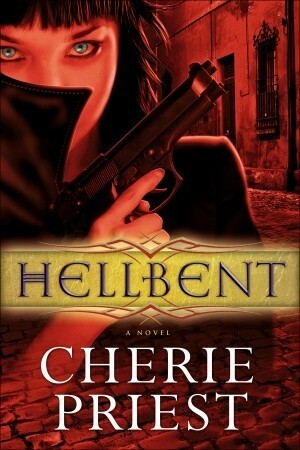 Hellbent by Cherie Priest This is the second book in the Cheshire Red Reports series (first book is Bloodshot), which features Raylene, a century old vampire. She’s a thief for hire but has a soft spot for those who win her over. So far she has collected a navy seal drag queen, two orphaned children and a blind vampire. They all live in a brick warehouse in a Pioneer Square area of Seattle. 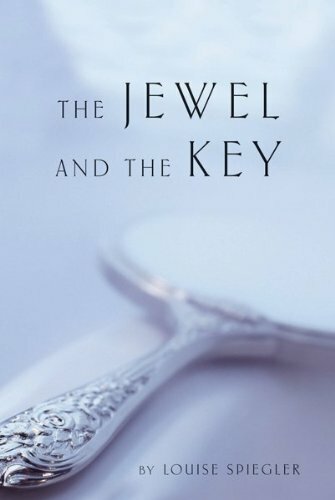 This episode (because I think this would make an awesome TV series) or perhaps I should say season, has Raylene splitting her attention between finding some magical artifacts and helping her misbegotten family. How well Cherie Priest talks about Seattle. I didn’t put the book down once to try to figure out how a person got from place A to place B without falling in a large hole. Usually books set in Seattle bother me with holes in the geography (how does one walk from Wallingford to Capitol Hill in less than an hour? ), but I know that’s just me. Raylene is awesome with her OCD and constant chatter. She’s a great character and I have come to realize that I am a character person. Her chatter is all relevant and interesting and helps build the story. Other characters are less developed because of her dominance, but you get just enough of them keep the flow. The travel–while the home base is in Seattle, Priest isn’t afraid to take her characters all over the US. How does a vampire travel? By car and airplane of course–at night! That timing can be a little tricky when you have to be in a dark room by the time the sun rises. There isn’t a lot of sight seeing in some of these trips, but you do get a feel for the location, and certain places are more fleshed out. 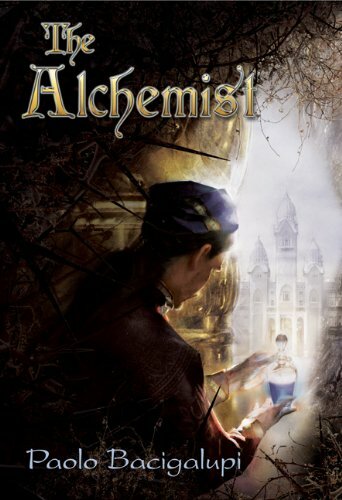 There’s a lot of action and adventure in this series. It won’t let pleasure readers down. 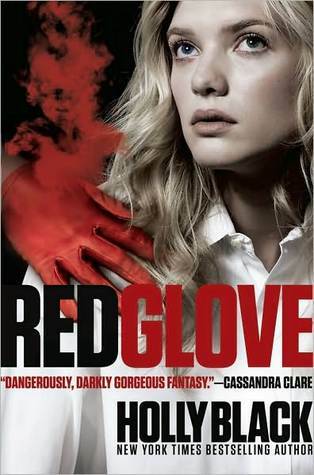 I’ll be recommending this book to adults and teens. Officially out August 30th. Bloodshot is available now! Biking and running have worn me out this month. I was just about half way through and felt like I hit a wall with both. Like I couldn’t improve no matter how much I tried. It’s been a little better since I lubed my chain and made a few other adjustments to my bike and took a couple of days off from running. I was also convinced that a week in May wasn’t there. I had superimposed this week with last week. I told people I had meetings I didn’t have, gave the wrong days off to one of my TAG kids when he wanted to come in and meet with me. Luckily I realized in time and was able to rectify my mistakes, but I felt silly. Otherwise I felt pretty sharp, conversing with colleges and getting things done. I didn’t feel much up to blogging, which is why I only posted the lame one before this. 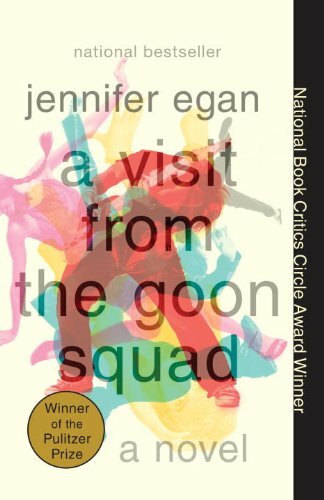 I am in a reading funk–trying to finish The Scar before it’s due in a couple of days and failing miserably. Usually I can read a book in a day or two, a week sometimes for adult fiction, but here I am at the end of a 21 day check out less than half way through. This would make sense if I didn’t like the book, but I do. We did have a good discussion about the post, and a good response by another blogger was posted. It wasn’t until later that night when I went to Facebook that I found out that some had taken the quote too literally and hadn’t clicked through to read the article. Sometimes circulation staff are referred to as clerks and so some of them took this as a personal affront. I am not sure if I should feel bad about the misunderstanding. I do regret that feelings were hurt, but I also wonder why they didn’t click through and see what the post was all about. He isn’t insulting clerks, he’s telling librarians to get off their asses and get with the times. And even though the post contains quite a few misconceptions about what libraries and librarians are doing and how easy it is to find information on the internet, he is entirely correct on that point. In other library news, as you may have seen in the paper we have a new City Librarian. He was the best of the three candidates, in my opinion and I’ve decided to be optimistic until he proves me wrong. Ha, that doesn’t sound very, does it? He has a good attitude, is a great public speaker and doesn’t seem to be bringing any baggage with him. Long live MT. 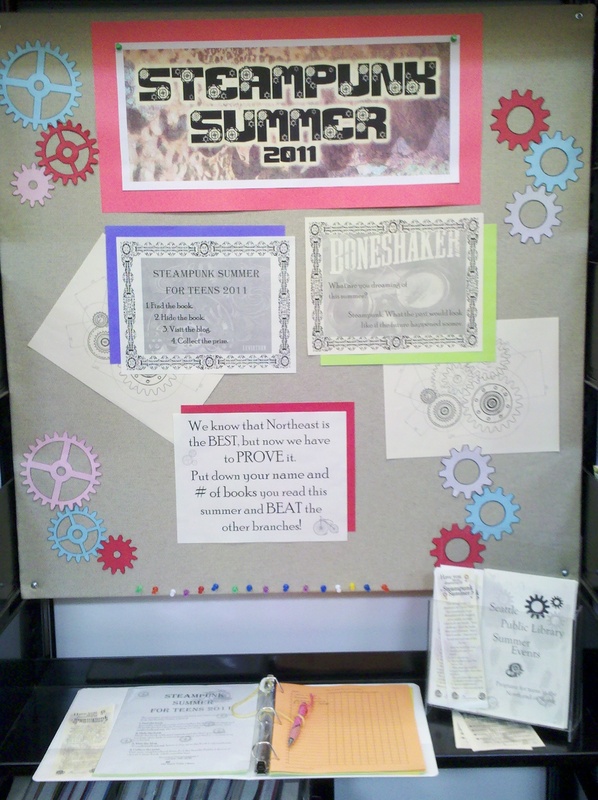 Ooh, and we teen librarians have a pretty awesome summer reading program planned. I can’t wait to start!